Rewind Bingo Review - Totally Cool Deposit Bonus upon Registration! 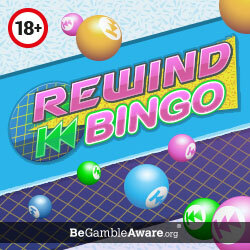 Rewind Bingo launched into the online gaming world in 2016 and brought us a site reminiscent of the 1980’s; where leggings and leotards were acceptable. The Flashdance inspired graphics combined with other 80’s icons in their bonuses, really gives you a feeling of nostalgia; not that we at Mobile Bingo Bonuses are old enough to remember any of this (we’re lying!). Of course it’s the games we’re really interested in and on Rewind Bingo, you have the hottest ones around. 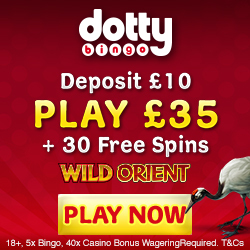 They offer everything from 90 ball, 75 ball and 5 line bingo, table games, scratch cards, progressive games and slots such as Fluffy Favourites and Sugar Train; none of those Q*Bert graphics here. To add to the excitement many of the games are available on both mobile and tablet devices, meaning you can play whenever you choose. If you decide that Rewind Bingo is like totally far out and decide to stay with them, then from the fourth deposit onwards you’ll enjoy a reload bonus. 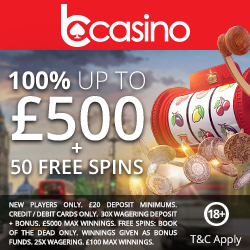 No codes are needed and you’ll receive a 50% cash match on amounts between £10 and £100. For those of you with more friends than Molly Ringwald has candles (that was a Sixteen Candles reference, if you’re wondering), make sure you take advantage of the refer a friend bonus. For each person who registers and deposits a minimum £5, you’ll receive 10,000 Rewind Points which equates to £10 bonus credit. You become VIP’s the moment you deposit on Rewind Bingo and you can move through their five VIP Levels simply by playing. Each level (Blue, Bronze, Silver, Gold and Platinum) offers bigger and better rewards. So if you fancy stepping back in time to the fun of the 80’s, but with modern day bonuses; then head over to Rewind Bingo.